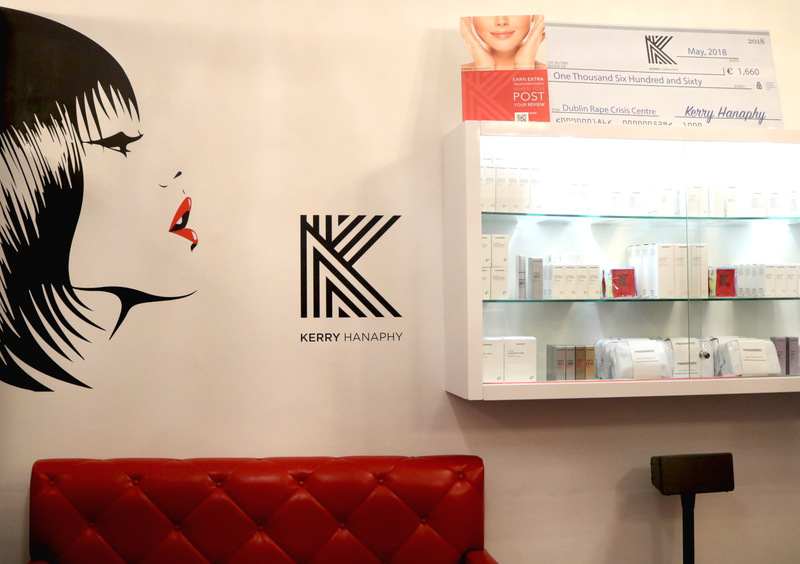 Kerry Hanaphy is ‘The Lip Queen’ of Ireland, where her namesake clinic on South William Street is most popular with aesthetic aficionados. 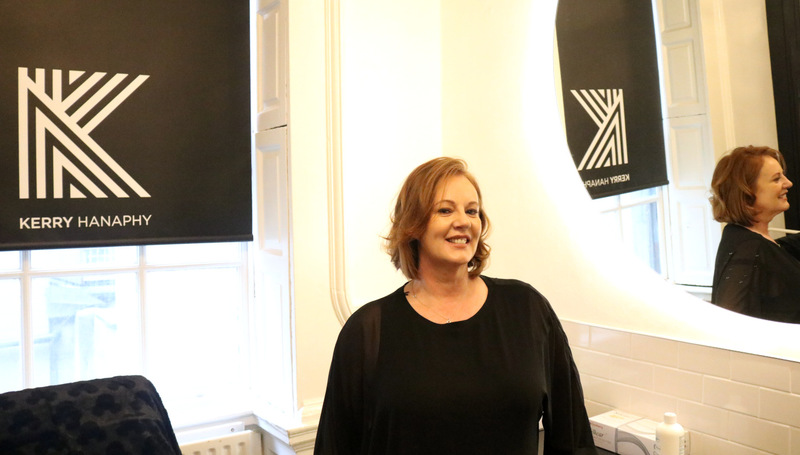 To better showcase her talents and get an in-depth understanding of the aesthetics industry in Dublin, and Ireland, we had a great chat with Kerry Hanaphy, a nurse of 30 years, and how her clinic came to be. Hi Kerry, tell us all about your clinic. Here in the Kerry Hanaphy Clinic, we are an anti-ageing aesthetic clinic at the top end of the Creative Quarter of Dublin. We do anti-wrinkle injections, facials, fillers, and we do the infamous ‘vampire facial’. We also have the latest treatments that are up and coming, like LED masks, and threading. There’s a variety of treatments that you can get done at Kerry Hanaphy Clinic, purely on a medical ground, and the five of us that work here are either a doctor, dentist or nurse. You’re affectionately known as The Lip Queen; how did you get into the business? I got into the business primarily from nursing. I was living in London at the time when I started, being a single working mum with two young kids, it was a good way of making a little extra on a Saturday. I came back to Dublin in 2006 but nobody really knew what I was talking about. I started going to different salons practicing fillers on people, primarily in Tallaght, because that’s where I came from. I started working in a lovely clinic called Core Beauty whom, to this day, I still go up to about once or twice a month. The more I spoke to people about looking at their upper half of their face, the more I realised people didn’t know about looking at their face for anti-ageing. It developed and exploded over the last three years, and what I realised now, later in life, is that I have a particular skill in seeing asymmetry. When I look at something, I can see things that are imbalanced and have developed this technique with a needle that I can make things more symmetrical. Hence came ‘The Lip Queen’ because of the amount of lips I do, and on a daily in the clinic I could do about twenty lips a day. What kind of clientele are most popular? The most popular age for lip fillers would be the 24- and 25-year olds, it’s a booming market. However, we are noticing that there are now a lot more men. Today men are more aware of anti-ageing and starting to look at getting their lips done, getting toxins or anti-wrinkle injections. Generally, though, the average age is in the twenties and then 40-50. What would be your favourite treatments that you recommend? 1. Profhilo – for anyone over 40, this new injection is a ten-point injection for pure hydration for the skin. I call it the ‘Benjamin Button’ injection, it keeps you looking youthful, fresh, hydrated, and gives the bounce back in the skin. 2. Acne skin – for the younger girls anyone who’s 18 upwards, I get great pleasure out of looking after anyone who’s got acne. The young girls or guys who are covered in spots, or have inflammation or redness, and they’ve seen a dermatologist, yet they’ve not have had any explanation about the basic simple cleansing, moisturising and oil-free products. And we can do all of that here. Tell us more about the Vampire Blood Facial. 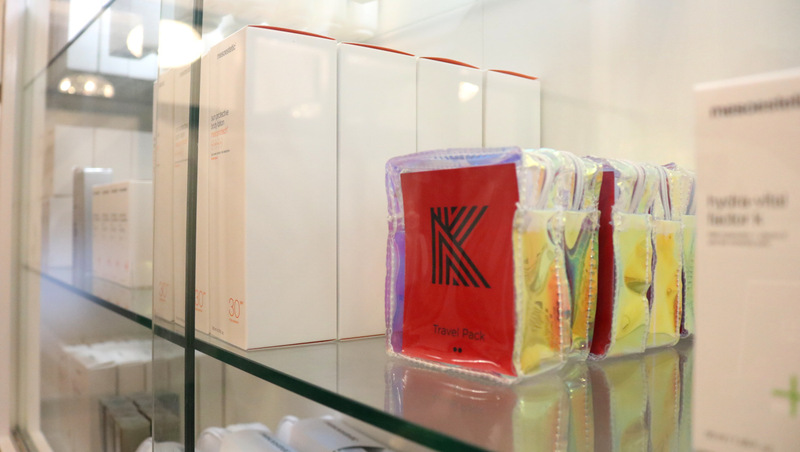 The vampire blood facial came because of the Kardashians. There was a video where one of them had a load of blood smeared over her face, and people thought that this was the next big thing! It’s medically known as PRP, protein rich plasma. It’s used in the sports surgery clinic in Dublin, and there are lots of studies around it, as it’s good for your knees and joints. Basically, you take a person’s blood and centre fuse it – it’s spun in a special machine that splits the blood. Then you’re left with this lovely, rich yellow blood, which is your protein rich plasma. That’s then reinjected back into you and it stimulates your natural collagen and Fibre Blass, and makes the skin look fresher. So, if you’re worried about introducing fillers which aren’t 100% natural, your own blood is. Plus, the fears of any side effects and reactions are very low. It’s a very good treatment for dark circles under the eyes too! What advice would you give to first timers to the Kerry Hanaphy Clinic? For first timers getting lips done, we advise to go slowly and not to overinflate the lip. Less is more, the more natural the better. You can develop a natural lovely lip, slowly. Have you worked with any famous names we can mention? We work with a lot of famous names. The good thing about me is that half of the time I don’t know who is famous. Sometimes people come into me and they won’t say who they are, and afterwards we’re reading back and realise their name! Names we can mention and people we’d promote would include Paul Ryder, who’s very up and coming now. It’s fantastic what he did for Ireland’s Got Talent, he’s doing fantastic things with TV3. We also do a lot of bloggers, and we’re very fortunate that Ashley Kehoe as our front of house. She has grown with me and helped me build the clinic. Ashley is followed by a huge range of people, from young to older women. And they’re delighted when they walk in and see her today. 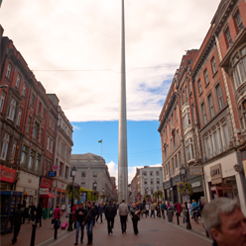 What do you like about the Creative Quarter? I love working in town and being in the centre of the buzz of town. I love that when you open the window and you’re working away, you can hear someone playing a bit of jazz music down the road. You can hear the buzz of young people and know whether it was a rugby or football day – you can hear them outside having drinks, laughing and enjoying life. I just love the buzz and atmosphere of being in town! 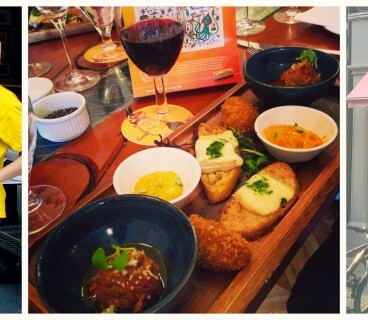 Have you any favourite spots for lunch, dinner or drinks? My favourite spot, when I’m being healthy, is The Good Food Store, and I’m always around in Blazing Salads too. But if I’m being a bit bold, I’d go for the Mexican Pablo Picante – you just have everything here. I do also love Fade Street Social, I always manage a last-minute table on a Thursday evening. Or there’s SOLE Seafood & Grill for fish, it’s beautiful. I love their prawns – prawns and wine, how could you go wrong! 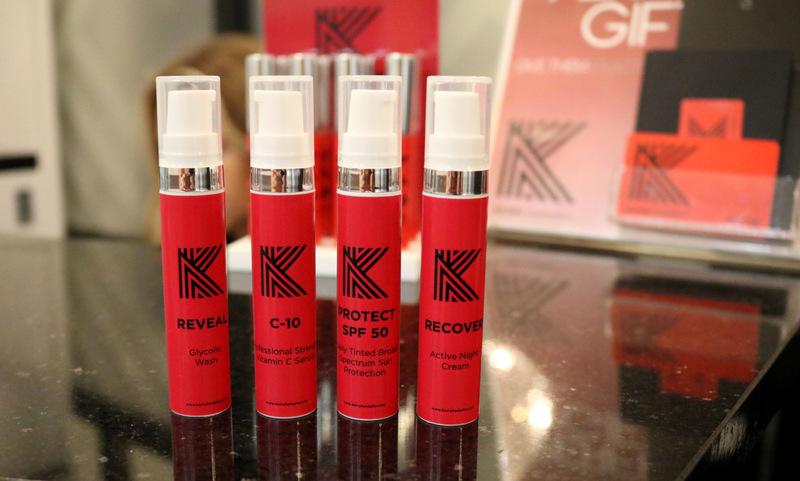 At the Kerry Hanaphy Clinic, they want to ensure that everyone gets their five-star treatment! Not only will you be treated by a qualified doctor, dentist and nurse but by a group who have a wealth of knowledge within the industry. 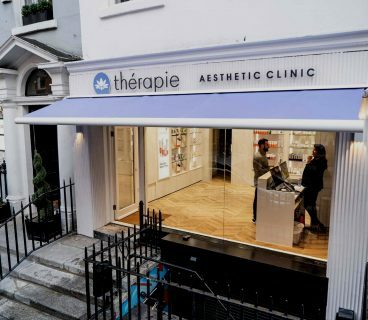 Visit the clinic at 27 South William Street, or call 086 771 6715 to make your appointment.